Many of you are probably wondering how Never Never came about. 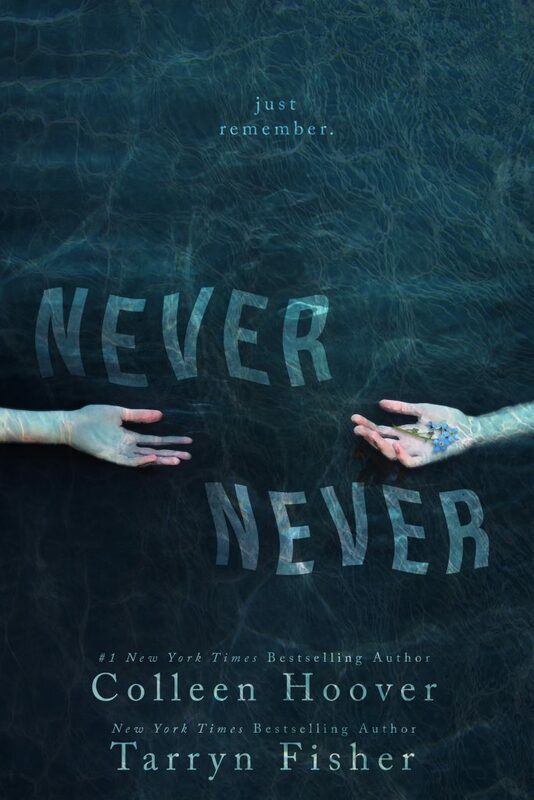 About a year ago, Colleen told me about her idea for what is now Never Never. I loved the idea and really wanted her to write the story. She got busy writing other books and playing with her pet pig. I couldn’t get her idea out of my head so I finally decided to write the first chapter for her and I sent it her way. She apparently loved it because she sent me back the next chapter. We went back and forth for a few weeks, not knowing where the story was going until we received the next chapter. After months of this, and a few face to face meetings, we are proud to say the first installment of Never Never is finished and will be releasing this weekend. So when you read it, let me know what you think. Can you tell who wrote what parts? You can add it to your Goodreads here. It is releasing in e-book form first, but paperbacks will eventually be available. And also Madison Seidler and I started our fashion blog called ClothedCaption! Stop by and check it out. We are working on the website now and will have it up and running in no time. I’m also trying to finish Marrow before it eats me alive. And I have a lot of laundry to do. A lot. Thanks for sticking with me! Loved, loved, loved it! But then, i love all collen hoover/tarryn fisher books. Ijust finished Mud Vein……oh, my heart!! This book was AWESOME……wnen is book2 coming out? Never Never is defenitly one of my all time favorites already . I like how this story finds it’s origin outside the box. I am absolutely happy by the fact that it is to be continued. Even though I am not dealing well with such massive ciffhangers, to know it is not the end yet spares me of any withdrawal symptoms which usually overcome me with such lovable characters. The book has a great flow that for me without being told, recognizing who wrote what is not possible. The whole book completely messed with my head, trying to figure out he plot. Now I start to think, how can I guess the big picture if maybe you Authors were probably trying to figure it out yourself, chapter by chapter? Oh my gosh.I just can’t believe two writers could play with my heart like that…seriously,I mean,are you guys heartless???? Oh my gosh…I just couldn’t stop hyperventilating when I found out this book was not a stand-alone but actually part of a series.Don’t worry I love series,its just that I didn’t think I’d be left hanging like that over the cliff…..Please for goodness’s sake,release the third novel in the series soon cause otherwise,I don’t know how I’ll keep myself from crying.. :'( I’m sorry for calling you heartless cause I actually loved your book lots.You were right “You are a writer and words actually are your weapons” cause you tore open our hearts owing to this amazing and lovely book called never never.Love you and colleen both lots.!! Keep up the amazing work! Please tell me that the 3rd book is out sooner rather than later? ?